If you really need a dark room - I'm not saying because of a hangover, but I'm thinking it - the cracks of sunlight that creep through the sides of your curtains can be painful. 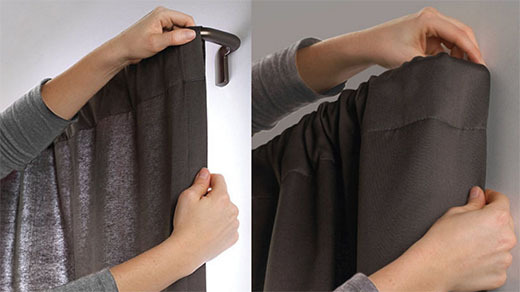 Umbra's Twilight curtain rod addresses that with a simple design tweak: the rod continues around the corner to go flush to the wall, allowing the curtain to do the same. Simple, clever, and effective; rest easy! You know those security tethers that keep on-display electronics from being stolen from stores? Apple is experimenting with removing these traditionally necessary inconveniences. 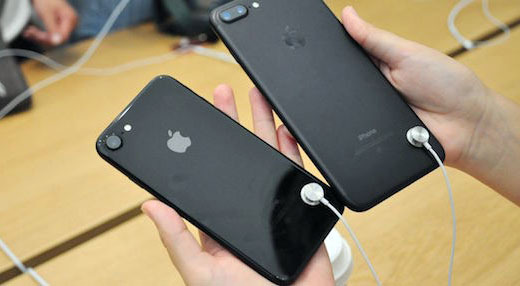 Some reports indicate that iPhones are going untethered in some Apple stores, and this is impressive: Apple is betting that its lost-iPhone mode, which bricks the phone, will make it a sufficiently unattractive target for theft. That's how it's supposed to work with end users, too, and putting it into action in stores may help spread the word: "Don't bother stealing iPhones, they'll just get bricked." Here's hoping! Apple's totally-wireless AirPods have the cool sheen of being The Future, but they battle the persistent fear that they'll fall out of your ears and be lost forever. 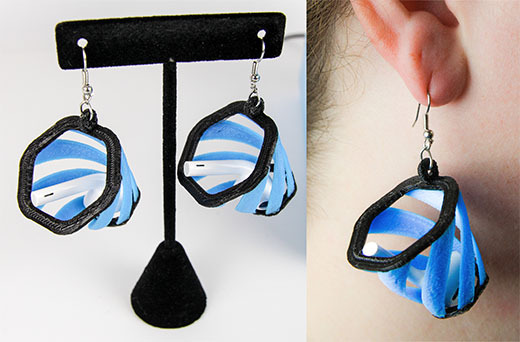 3D printer company M3D has designed a response: 3D-printable earrings that act as baskets to catch falling AirPods. It's a cute example of design as commentary on another design; a designed response. It's also mainly a marketing move: M3D has made the design files available on Thingverse, and gotten some nice publicity practically for free. The product isn't serious, but the commentary - and the brand awareness - certainly are. 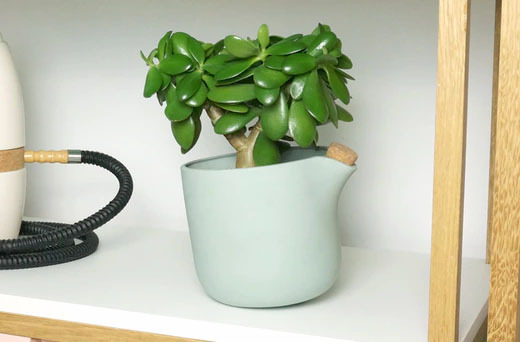 Tilting pot uses gravity to ask for water. Perhaps the toughest part of plant ownership is remembering to water the darn things. There have been some electronic devices to solve the problem, but digital technology seems out of place in the analog world of plants. The Natural Balance is a plant pot that eschews technology for old-fashioned gravity: when the reserve of water gradually seeps into the soil and becomes empty, the balance of the pot changes so that it tilts to its side. See how it looks a little crooked in the photo? That means it's thirsty. Clever, elegant, analog, and gravity-powered, it just feels right for plants.